Heap large portions of your favorite meal while adding a stylish touch to your dining decor, with the 12" Flared Bamboo Bowl. The spacious bowl can be used for everything, from serving snacks to enjoying a salad. It is made of Moso bamboo that absorbs very little moisture and consequently, does not shrink or swell as much, making it a superior choice of material. The pleasing patterns are created by using the naturally occurring variations within the wood grain of the bamboo. Hand wash the bowl with warm water; occasionally use mineral oil to extend its life and to keep it looking as good as new. These bowls appeal to the environmentally conscious as the Moso bamboo is not a food source or a habitat for the Giant Panda. 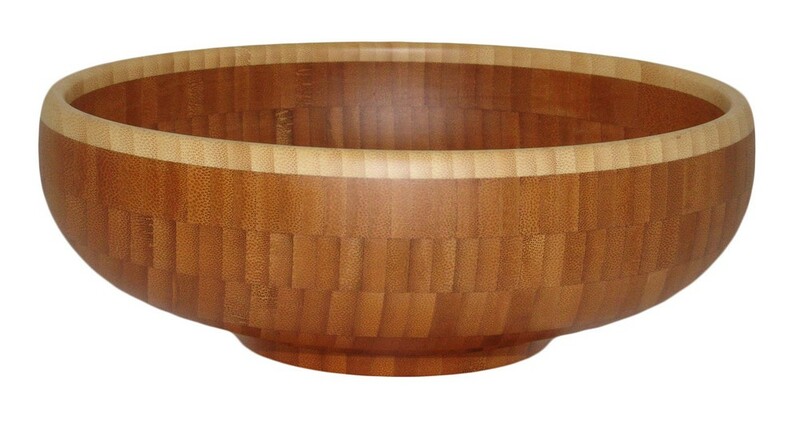 Add your company’s logo on the bamboo bowl to boost brand recognition and outreach.